Former members of St. George Church pose for a final shot in front of the building before its planned demolition in August 2018. 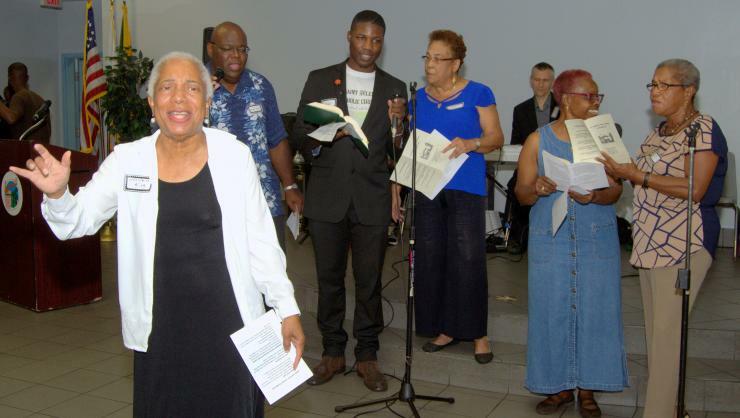 Wilhelmina King leads singing during the farewell observance for St. George Church before the building's planned demolition. 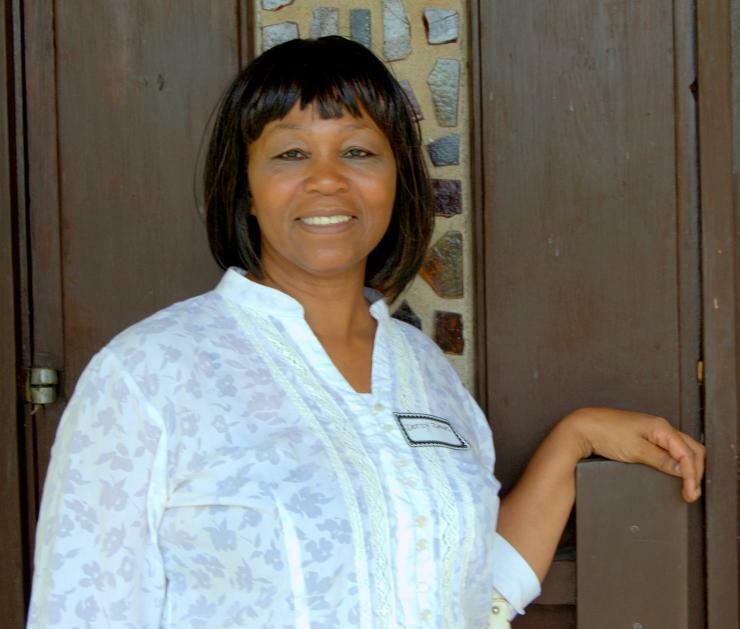 Dotsy Davis poses at the door of St. George Church before the church's planned demolition. Leaders of St. George Church pose for a final photo before the building's planned demolition. 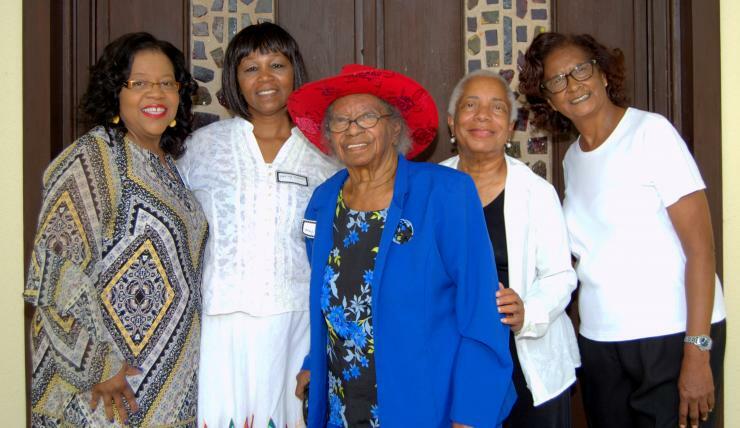 From left are Mae Smith, Dotsy Davis, Dorothy Paul, Wilhelmina King and Virginia Cox. 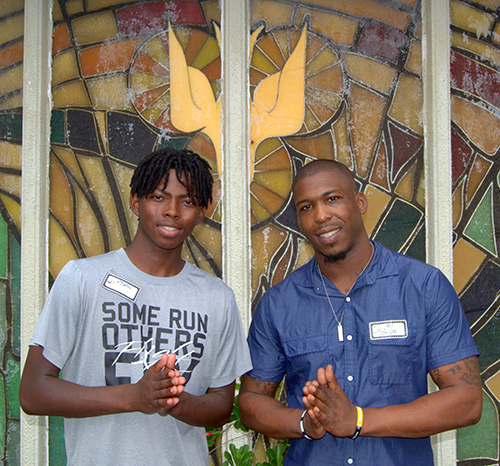 Jordan Cox Alexander, left, and Emery Davis grew up at St. George Church. They joined about 60-70 other former members Aug. 19 to celebrate parish life before the building's planned demolition. Dorothy Paul, 85, is honored as the matriarch of St. George Church, which is planned for demolition. Wilhelmina King pulled together a commemorative service for St. George Church when she heard the building was scheduled for demolition. The service was held Aug. 19. LAUDERHILL | The members of St. George Church said good-bye to their parish at the final Mass nine years ago. But this August, they were back — this time to bid farewell to the building where they prayed, sang, baptized, received the Eucharist, and mourned their dead. The bittersweet memorial service brought 60-70 people for a final farewell before the structure is claimed by a wrecker’s ball. St. George was among 14 parishes and missions that merged into other parishes in 2009. 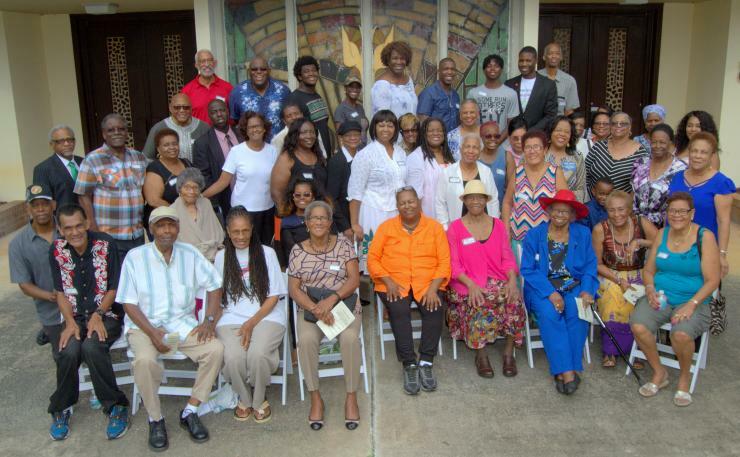 But some of the former members returned Aug. 19 to remember their days at one of the few predominantly black parishes in the archdiocese. Jordan Cox Alexander, left, and Emery Davis grew up at St. George Church. They joined about 60-70 other former members Aug. 19 to celebrate parish life before the building's planned demolition. Wilhelmina King pulled together a commemorative service for St. George Church when she heard the building was scheduled for demolition. The service was held Aug. 19. Dorothy Paul, 85, is honored as the matriarch of St. George Church, which is planned for demolition. Several churches were represented in the service, including St. Helen in Lauderdale Lakes, Holy Redeemer in Miami and Blessed Sacrament in Oakland Park. But they were almost too late: The church building was already locked and condemned. So the memorial service took place at the adjoining community center of St. George Park. The City of Lauderhill opened the center on a Sunday just for them. King and a six-member choir led singing of standards like “We’ve Come This Far by Faith” and “I’m So Glad Jesus Lifted Me.” They also sang “Lift Every Voice and Sing,” often called the black national anthem. Ava LaVett Robertson of Fort Lauderdale-based First Baptist Church of Piney Grove performed two liturgical dances, to vigorous applause. But the biggest reactions came from a slideshow drawn from church archives, as well as a video of St. George’s last Mass on Sept. 27, 2009. “Awwww” and laughs of recognition broke out every so often. Everyone walked the block to the church building for a group photo, singing “When the Saints Go Marching In.” They then returned for a dinner of ham, chicken, salad, beans and rice, and mac ‘n’ cheese. Her son Emery, 30, agreed. He was baptized as a child at St. George, then served with the praise and worship team as a young man. “Just seeing everyone brought tears to my eyes,” he confessed after the photo shoot. He was especially struck to see the six singers, down from a 30-member choir. “It shows how precious life is, and how quick it passes,” Davis said. Wilhelmina King put the gathering together in a mere four weeks. 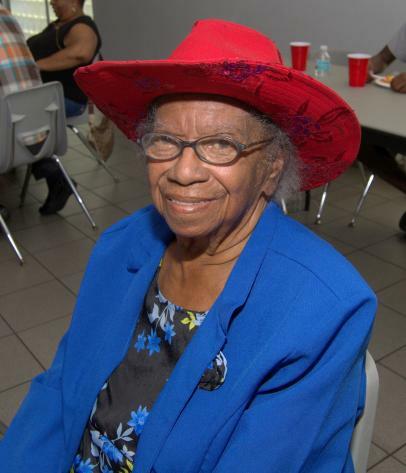 The spur came when she heard rumors that the church building, which had stood empty for nearly nine years, was about to be torn down. She asked Ken Thurston, a Lauderhill city commissioner and a fellow member of Kiwanis. When he confirmed the rumors, she quickly organized the service. Speaking at the gathering, Thurston said the church land will be used for a community pool. Part of a $1.7 million park improvement project, the pool should be finished within a year and a half, he said. Launched in 1963 as a mission of St. Gregory Church in Plantation, St. George became its own parish in 1964. Born during the civil rights era, St. George embodied diversity from birth. Its membership was mainly black but included people from Africa, the Caribbean, Latin America, even Lebanon and the Philippines, as well as white parishioners. Nor did members simply warm the pews. They volunteered in community groups and stood up for wronged workers at a nearby university. Some also sang, served as extraordinary ministers of Communion and joined in holiday pageants. The church also hosted a guitar-powered contemporary Mass back in 1969. Some people at St. George performed several jobs for the church over the years. At one time or another, church matriarch Dorothy Paul sang in the choir and cleaned up before Mass. 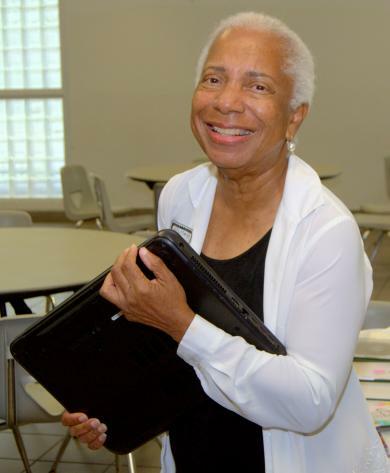 She served with the St. Vincent De Paul Society and Women’s Sodality. And as a Eucharistic minister, she once served Communion when the priest was sidelined by a car breakdown. “I did everything in the church at one time or another,” said Paul, 85, who in 1998 received the Primum Regnum Dei Award, the archdiocese’s highest honor. At the other end of the age scale was Jordan Cox Alexander, 18. He attended St. George from his first Communion until the last Mass. One of his favorite memories was playing a shepherd during a Christmas pageant. At that final Mass, on Sept. 27, 2009, Father Robert Tywoniak, the last pastor, tried to console his listeners by reminding them of the work they’d done for God and their neighbors. He urged them to continue their work and service at Our Lady Queen of Martyrs Church in Fort Lauderdale, into which St. George merged. The members of St. George may have said farewell to the parish and the building, but not necessarily to one another. Wilhelmina King said she still has phone and e-mail lists saved from the 2009 Mass. Former members of St. George Church pose for a final shot in front of the building before its planned demolition in August 2018.